Upper: Black Boulder, FLAME, and Cut-Resisting Leather. Special Features: Kevlar Thread. Meets the Requirements of NFPA 1977 Protective Clothing and Equipment for Wildland Fire Fighting, Current Edition. UL Certified. 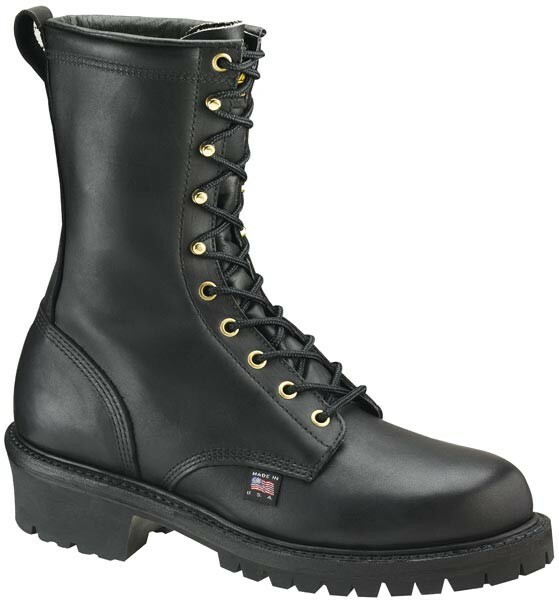 Made in USA by ISO 9001 Certified Shoe Company.